just received email today and i afraid about it and make an investigation. 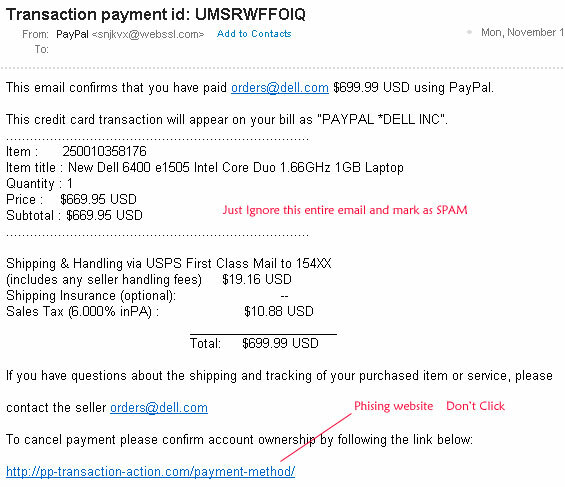 obviously the email is Phishing email. they tend to use Dell and Paypal to blur your eyes. Following is the mention email. In fact i never dealing with buying Dell Laptop or what so ever.